The orientation of your home can have a significant effect on the need for heating and cooling, making your home more energy efficient and therefore saving money on utility bills. This post covers the considerations concerning ideal orientation. Although these principles are most easily implemented at the design phase of a new build, this post is also worth reading if you are considering remodelling your home or purchasing a property. If a building is orientated to take advantage of the local climate then the need for additional artificial heating and cooling can be dramatically reduced. If selecting a plot on which to build, always consider how a new building will be orientated to take advantage of regional conditions. When renovating and remodelling, think about which spaces require heating and cooling most often and perhaps change the layout of the rooms accordingly. The state of Queensland is both hot a humid for the majority of the year, so there are little, if no heating requirements year round. When building in the Whitsundays, orientation should maximise exposure to cooling breezes whilst attempting to exclude the sun throughout the year. In high density areas, it is often not possible to ideally orientate a home, so always speak to your Whitsunday Builder or architect about the best methods and techniques to employ. Establishing the true or ‘solar’ north for the area in which you wish to build is a good step to deciding how to orientate a home. 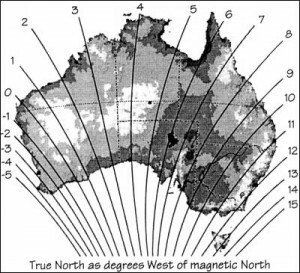 Use a compass to find magnetic north and then simply add 7, the magnetic variation for the Whitsunday Region. By establishing the sun’s path, it becomes much simpler to see how to orientate your home for maximum solar gain or exclusion throughout the year. Passive heating involves orientating the home to maximise heating from the summer in winter and minimising solar heating during warmer months. In Queensland the winters are warm, so it is cooling in summer which is vitally important, avoiding the need for artificial cooling as much as possible. Wherever possible, choose a building plot which runs north to south as they receive access to the northern sun whilst minimising the possibility for overshadowing from other properties. During the summer months this orientation will provide shelter from low east and west sun if there are neighbouring dwellings. Whichever side of the street your plot is located always try to accommodate living areas to the north elevation. If located on the north side of the street, living areas can be located to the rear, giving privacy. If located on the south side of the street the design should be wide enough to give a north facing exterior space, whilst also providing an entrance and living area. For building plots which run east to west the design should include a north facing garden. Take advantage of any available views to the north, as this is the best location for windows. If the view is to the south, try to avoid large glassed areas which can cause over heating in summer. The ideal orientation is between fifteen degrees west to twenty degrees east of solar north. Orientation such as this allows for eve overhangs which will admit the winter sun whilst excluding solar gain in the hot summer months. This basic design admits the sun when needed and excludes as much as possible when not required with zero additional requirements made on the occupants. Are the rooms already orientated for ideal solar gain? If no, can it be easily changed? Which way are living areas orientated? North facing is ideal. Are west facing windows appropriately shaded? If no, can this be easily amended? Check how other buildings, trees and any other surrounding structures effect the shading of the building as this will affect the solar gain of your dwelling. If installing solar collectors, such as solar panels, make sure these receive year round access to the sun. Also consider clothes drying areas – avoid the tumble dryer all year round! This article only contains the very basic principles of orientation, always talk to your Whitsunday builder who will be able to provide tailored advice about home orientation.